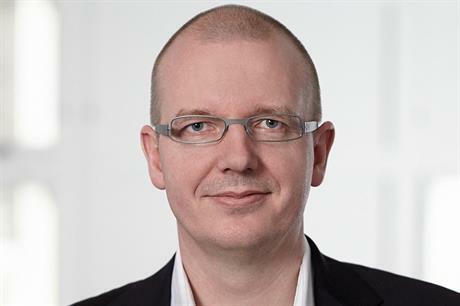 WORLDWIDE: The wind industry is being held back by the reluctance of manufacturers and operators to share data, argues Jan Nikolaisen, talking exclusively to Windpower Monthly. Earlier this year, Jan Nikolaisen, co-CEO of technology and service provider Romo Wind, issued a short open statement to the wind industry, in which he decried the lack of trust between operators and original equipment manufacturers (OEMs). He attributed part of that mistrust to a general failure to accurately measure and monitor turbine performance. "When performance is not as expected, the operators tend to think the turbines are not performing well, while the manufacturers blame the wind," he said. "The industry standard of using a met mast is too expensive, too impractical, and too imprecise to give us the transparency we need to defuse the unnecessary tension we have in our industry." Nikolaisen expressed the opinion that turbine makers should think again about whether the "we sell turbines but the data belongs to us" approach was helpful in the long run, while conceding that operators need to invest in the technologies that will improve their understanding of turbine performance. We asked him to develop these thoughts further in an exclusive interview for Windpower Monthly. Can you tell us more about the mistrust you have noted between wind-farm operators and turbine makers? What, more precisely are the operators complaining about? How are the OEMs responding to these complaints? When I commented to the chief technology officer of a sizeable independent power producer that I was surprised about the seemingly little trust between operators and OEMs he looked angrily at me and said: "What do you mean? Little trust? There is no trust". That might be an extreme view, but I have yet to meet an operator who says he fully trusts the OEM. The main complaints I hear are about ownership, availability and comparability of data. In short, a lack of transparency. As operators have become larger and more sophisticated, they want more control over their assets, and to control your assets you need data and transparency. So they want data they can trust and work with. If they see a problem they want to be able to find the root cause themselves. This pro-active mentality of operators is relatively recent in the industry. It has partly been driven by the utilities entering the wind sector. They come from a world where, if you own the asset you own the data the asset is producing, and they have found it difficult to adjust to the realities of the wind industry. Another driver has been disappointment over performance and service quality, which has led non-utility operators to think differently. Having said that, I believe there has been a positive development over the past few years. Operators tell me OEMs have become more responsive to their needs for transparency. The transition is happening, it is just incomplete. How is this affecting the contractual relationship between operator and OEM? Especially if the turbine supplier is also providing warranties and operation and maintenance (O&M) services. Supply and service contracts are becoming more and more complex as the operators try to translate their mistrust into contractual wording. The operators try to assign most of the operational and performance risks to the OEMs. The OEMs try to carve out as many risks as possible on their side. However, contract structures are sticky. There are established standards that only evolve slowly over time. Operators and turbine suppliers are dependent on each other but, over time, I expect the contracts to reflect the increasing power of operators, especially offshore where the operators are large and the competitive balance between buyers and sellers is more equal. The only thing that could accelerate this trend is if the large developers and operators make a common cause for getting more control, data and knowledge of their assets. Although they have grown larger and more powerful, the industry is still very supplier dominated. You say that "part of the lack of trust comes from the fact that we have not been able to accurately measure and monitor turbine performance". Surely a fair amount of progress has been made in this area over the past, say, ten years. How inaccurate are we, do you think? JWind turbines have certainly become much better over the past ten years, but we are still measuring their performance in the same way and with the same accuracy as we did decades ago. The gold standard of the industry - a met mast - has an uncertainty of annual electricity production (AEP) in the 4-8% range, so we have to admit that we do not really know how well the turbines perform. That is especially true for how performance changes over time. Only a small percentage of turbines have undergone a proper performance validation using a met mast, due to the complexity and tremendous cost of met-mast power-curve campaigns. The lack of accurate performance measurements makes optimisation difficult. If you can't prove a small but meaningful improvement — say a 1-2% increase in AEP — no one is going to pay for it, so optimisation measures are not going to happen. Also, it is close to impossible to intervene when performance is declining more than it should. In the long run, this must have an effect on the levelised cost of energy (LCOE), but a number I often hear referred to is 4-8% improvement potential for existing turbines. Could you elaborate on the deficiencies of met masts – in terms of their cost, impracticality, and lack of precision? What should replace them? Who agrees? Where should I start? The issues with met masts are both economical and practical. First, they are too expensive to be used for anything more than spot checks on nominated turbines in a wind farm. Second, they are impractical for meeting the industry's need: continuous and comparable performance measurement on all turbines, in all terrain types and at all times. Given that the met mast measures the wind somewhere else than where the turbine is, the measurements will generally be affected by the local terrain, and the performance measurements are consequently site specific. In other words, the measurements are not comparable from turbine to turbine. A met mast can only be used in the free wind sector and in non-complex terrain, even though the turbine obviously operates in all wind sectors and in all terrains. So in practical terms, it means the power curve warranties the OEMs give are worthless. This is a stone in the shoe for the operators, and if they were presented with a better alternative they would jump on it. We need to develop reliable and accurate wind measurements on the turbine, be it our iSpin, Lidar, or other technologies. It is the wind that hits the turbine that produces the energy, not the wind several hundred metres away. Only by making local wind measurement can we take out terrain and wake effects, and make the measurements comparable. The nacelle anemometer was not designed for performance measurement, but it is the only technology available on all turbines, so that is what people use. At the Norrekaer Enge project with Vattenfall we compared power curves across the wind farm. The nacelle anemometry-based power curves were directly misleading. The variation was +/-8% in AEP, and it looked like almost all turbines were underperforming. When we measured the wind directly at the spinner with iSpin, we saw that the power curves in reality were all close to each other with a variation in AEP of around +/2%. Excluding one machine with a large yaw misalignment revealed that the rest were within a band of +/0.5%. So it is possible to obtain much more precise power curves than the industry has become used to. You say, "Turbine makers should think again about whether the 'we sell turbines but the data belongs to us' approach is helpful in the long run." What is the incentive for an OEM to open up its data, potentially to rivals? We need to harvest all the industry's creativity, ingenuity and experience to continue to gain competitiveness. That the OEMs keep building data silos is holding back the ability of the rest of us to contribute to the development of the industry. It also makes transparency and comparison difficult. Think for yourself; how many cross-turbine studies have you seen in the wind industry? For example, we do not really know how wind-turbine power performance degrades over time? Does it vary from brand to brand? What is the variance? Does it depend on complex versus simple terrain? Is the performance degradation of newer turbines lower than for older turbines? These are important questions for operators, banks, insurance companies, service companies and so on. I don't see the argument for holding back such data from the public domain. Sharing is better for the industry, even though some dirty laundry will be visible. Of course there are legitimate reasons for keeping stuff secret. I'm not saying OEMs should run on Linux and be open source. Car makers also hold back data about their models, but customers can easily monitor fuel efficiency across their fleets. OEMs could design for openness and transparency, and enable independent data collection without compromising their position. Open systems are more competitive over time. OEMs are consolidating fast, and I question whether the market is more competitive than before. The competition we should worry about is from other energy sources, including solar PV. What is putting pressure on the OEMs is not competition from other OEMs, but the switch to auctions and lower electricity prices. Rightly, this has focused everyone's minds on LCOE, but it is not something we should leave the OEMs to solve alone. You say operators must accept the need to invest in internal capabilities and technologies to better understand performance. Why haven't they done so yet? Is it due to a lack of investment, or skills? I see a mixed picture. For obvious reasons there is a lot of focus on availability. It is an important, visible and acute problem. My impression is that operators are on top of this. But when it comes to the chronic problem of power performance - is the turbine producing what it should? - operators are a bit all over the place. Some run power curves daily to detect changes in performance, others do literally nothing. Everyone I talk to acknowledges the importance of understanding performance, but they also lament that they don't have the time, resources or capabilities to look into it. So the short answer is a lack of investment in people, systems and technology. But there are shades of grey here. Some operators, such as Dong Energy, EDPR and ERG Renew, have built impressive in-house capabilities, but it is not yet the norm. Obviously not all operators have the size to warrant large internal teams, but sharing of resources and joint ventures are options to be considered. These deals are to me a sign that the wind industry is maturing. It is a natural development that OEMs start to service other turbine brands. A side effect might be that the OEMs themselves will grow more interested in data comparability and benchmarking turbines to each other. I am sure many players are rethinking their business model, and I think we will see more intriguing deals coming up. Ideally, the wind sector would learn from the pharma and biotech industries. They play open book and state to the market what problems need to be solved. Innovative firms try to come up with solutions in confidence that if they do, the large companies will offer them a good deal. Can you tell us more about your open-data project at the Norrekaer Enge wind farm in Denmark? It's an attempt to foster collaboration, innovation, transparency and experience. The response has so far been very good, so we are likely to continue with open-data projects. I think there is a lot in it for all involved. By giving access to data, other parties can do a virtual pilot, and save time and money. Vattenfall and we benefit from third-party validation - or not - of our conclusions. More eyes might see things we have not, and I am sure we will get good ideas for topics of future investigation and collaboration.